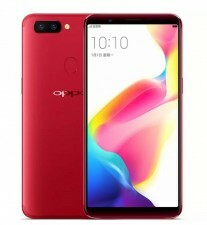 Oppo has listed the all-new R11s featuring an all-screen bezel-less design in its home country. The company has opened registrations for the new Oppo R11s in China for the first sale which is November 2. There's no pricing announced so far. The Chinese listing confirms that the R11s goes on sale from November 2 which should be the day of price announcement as well. The biggest highlight of the Oppo R11s is its all-screen display with an aspect ratio of 18:9. The listing says Oppo R11s will be available in Black, Champagne, and Red colours. Considering the Oppo R11 was launched at CNY 2,999 (roughly Rs. 28,450) and the Plus variant at CNY 3,699 (roughly Rs. 35,100), we can expect the Oppo R11s to be priced in between these two models. The Oppo R11s is expected on Color OS based on Android 7.1 Nougat. The biggest highlight of the smartphone is its dual camera setup at the back, as revealed on the company site. It sports dual cameras one 20-megapixel and another 16-megapixel sensor accompanied by a dual-LED flash and f/1.7 aperture. It supports 2X optical zoom, Qualcomm Spectra ISP, Portrait Mode, and more features. At the front, there's a 20-megapixel sensor for selfies and video chats accompanied by an LED flash. It is said to feature a 6-inch AMOLED display with 1080x2160 pixels screen resolution. There's no physical home button at the front while fingerprint scanner is located at the back. Much like the Oppo R11, the R11s is said to be powered by a Snapdragon 660 SoC. On the site, it is seen with 4GB of RAM and packs 64GB inbuilt storage. It is said to be backed by a 3200mAh non-removable battery.